The north end of Queen’s Park will be closed from March to October as part of a revitalization project tackling the aging infrastructure and damaged green space in the park. The Queen’s Park North Improvements plan comes after years of increased usage of the historic downtown park by the booming population of nearby residents and tourists alike. The current infrastructure of the park lacks reliable paths and consistent benches. Queen’s Park North makes up the section of the park north of Wellesley Street. The north end of this section — from the central King Edward VII Plaza to the top of the circle — will be closed for the first phase of the revitalization until October. The south side of Queen’s Park North will be closed off from March 2019 to August 2019. The construction notice states that “a pedestrian access path will be provided,” but it is unclear whether that path will lead through or around the closed-off area. The project began in 2014 with extensive community and stakeholder consultations. The city’s plan for upgrading the park’s usability is to create better infrastructure for moving through the space, adding seating, and improving access points to the park, particularly at the Hoskin Avenue entrance, which is also a vital connection to campus. A permanent walkway encircling the park will be built, replacing the well-trodden dirt path currently there and making the park more accessible for jogging. Some of the existing dilapidated paths will be demolished in favour of a more structured system of main walkways in and through the park. 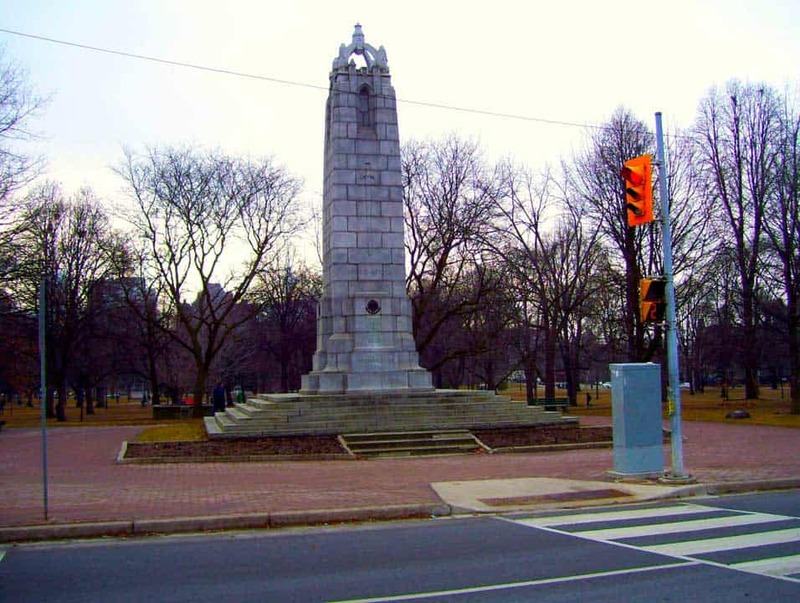 One major addition coming with the project is a new Queen’s Park Promenade, connecting the Highlanders Monument of Canada Plaza at the northernmost end of the park with the King Edward VII Plaza in the centre with a wide walkway lined with benches. Another objective of the project is the revitalization of its trees and lawns. The large trees of the park are a unique quality in the middle of the city, and the city will be planting more trees to ensure that the “urban canopy” is protected. Ninety large canopy and 70 understorey deciduous trees will be added to the park, alongside new grass turf and spring flowering bulbs along some walkways.